Sindh as the distinction of churning out many great men and is known to be the birthplace of great Saints, Poets, Scholars and Statesmen. Even the great Mughal Emperor – Badshah Akbar was born in Sindh. As it appears, it was his destiny to be born in Sindh to a Sindhi mother and later turn out to be the great Ruler that he was. What follows is an attempt by me at translating my father’s book – ‘Himayun Jo Khwab’ which would reveal to the readers the circumstances that led to Emperor Humayun reaching Sindh and the proceedings that ensued prior to the birth of the greatest Mughal Emperor, Akbar. While nearing the end of his life Emperor Babar sensed the danger that loomed over the great Mughal Empire that he had built with great efforts. Realising that the prospective heirs to his throne, his three sons were selfish, he had fears that his Empire might not last long. But he had rested some hope in his son, Humayun, who in comparison to his brothers was much more generous. He thus handed over the reins of the Mughal Empire to Humayun. He instructed him to be just with his brothers and treat them equally. But Humayun, who was not a master at politics, literally followed his father’s instructions and handed over one-third of the Empire to each of his brothers and kept only one-third under his control. Little did he realize that by dividing the Mughal Empire into three parts, it would not only lose its sovereignty but would also provide an opportunity for the enemies to take over the Empire. He did not even consider the possibility of his tow selfish brothers fighting with each other and eventually destroying the Empire. Like his father, Babar, Humayun was a great warrior too and emerged victorious everywhere he went, but trouble was brewing for him in the region of Bengal. Deadly plans were being hatched against him and he was not at all prepared to bear the brunt. Sher Khan, with his Afghan gallantry defeated Humayun near Kanoj and Mughals had to run for their lives. This incident took place exactly ten years after Babar’s death. Humayun, unable to face the Afghans was forced to retreat to Agra, but even before he could marshal strength and prepare to battle Sher Khan again, his secret agents learnt that the Afghan Sardar had followed him and was close to Agra. This resulted in his further retreating towards Lahore. Having reached a safer destination he began consultations with his brothers and Ameers, but they in their own selfish interests refused to provide help. This, added with the thought of not having an heir to his throne after his death, disheartened Humayun and it seemed that the end of Royal family of Tamoor was eminent. While he was still exploring military options that he could execute, he received information that two of Sher Khan’s Sardars had followed him and were about to reach Lahore. The news of Sher Khan’s two Sardars threatening Humayun’s camp, forced him to pack up and proceed towards Sindh, as his brother Hindaal and his cousin Mirza Yaadgaar Naasar were also in favour of moving towards Sindh. Many of his associates left and ditched Humayun on the way to Sindh. In spite of the events that occurred, Humayun did not lose courage and headed towards the green valley of Sindh. 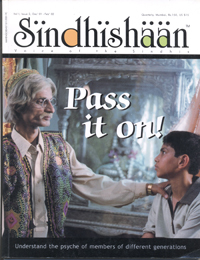 In those days, Sindh was under the rule of Arghoons and Mirza Shah Haseen was its Ruler. He was an extremely shrewd politician well versed with the tricks of trade. He was conscious of Humayun’s movements and knew that on reaching Sindh, Humayun would first conquer Gujarat and then try to recover his lost Empire. Therefore, without wasting much time, he got busy preparing to face the Mughals in Sindh. He destroyed cultivations on either side of the river in entire northern Sindh (up to Bukkur) so that Humayun would be discouraged to settle in Sindh after seeing barren lands. He also kept the Bukkur fort ready for war and appointed his trusted and experienced subordinates to guard the fort. After having made Bukkur fort battle ready, he himself proceeded towards the south of Sindh to make the defence arrangements. The Arghun ruler thought, that should Humayun decide to enter Sindh despite the odds, it would be better for Humayun to stay in northern Sindh for some time before proceeding southwards thus providing Shah Haseen sufficient time to complete all necessary preparations. Hence, he made arrangements for Humayun’s stay in the gardens of a village named Babur Loee near Rohiri. But, unfortunately for Mirza Shah Haseen, Humayun continued with his plans and crossed over to Sindh, since he had no other option left and finally in 1541 reached Rohiri. So as planned, arrangements were made for his stay in the Chaar Baag of Babur Loee and the rest of his army was asked to stay in the area (maidan) between Rohiri and Babur Loee. After all the torment experienced by Humayun and his men, the beautiful gardens were haven for them. Thereafter, Humayun came to Bukkur and sent a message to Sultan Mehmood to appear in his services and hand over the keys of the fort to him. Sultan Mehmood put into use his diplomatic skills and politely and respectfully sent back the message that he was only a subordinate of Shah Haseen, and therefore without his master’s permission, he was helpless in carrying out Humayun’s orders. This gave Humayun an inkling that things were not as easy as he had expected. On his part, Humayun invited Shah Haseen to his court but secretly planned to move down to Sehwan and capture the fort there. Soon it was almost crystal clear, that Shah Haseen was not keen only helping the Mughals. So after consulting his Sardars, Humayun attempted to capture the fort at Bukkur. Humayun’s army had become weak due to shortage of food and found it very difficult to fight the enemy. Meanwhile the news reached the Mughal camp that Humayun’s brother Hindaal whom Humayun had sent to Paal, was planning to move to Kandahar. Soon thereafter the Mughal camp received news that Shah Haseen had offered his daughter in marriage to Kaamraan, Humayun’s other brother who had already gone to Kandahar. It now became obvious that Shah Haseen was hatching a ploy against the Mughal Emperor. A few days later, Humayun’s army became restless due to the growing shortage of food. It had already started hatching plans to desert him since Hindaal left for Kandahar. Humayun somehow succeeded in bringing back Mirza Yaadgaar Naasar who had decided to leave him along with his trusted men. By now the conditions in Bukkur had somewhat improved, and the peasants who cultivated the land and had left Bukkur at the instance of Argoons (Shah Haseen and his trusted men) slowly returned to till their fields again. The royal army had enough to eat and now they gave up the thought of deserting Humayun. Humayun, knowing that he could not waste much time, decided to hand over the reins of Bukkur to Mirza Yaadgaar Naasar and led an army towards Sehwan and entered the city on Sixth November. His men surrounded the fort and tried to conquer it. It was not as easy as he had initially expected. Due to adverse war conditions much of his army left him and defected to the other side. On the other hand, Mirza Yaadgaar Naasar revolted against Humayun and joined hands with Shah Haseen. After seven months of struggle Humayun decided to return to Bukkur. By now their morale received a heavy blow and Humayun’s men started fleeing as they were not willing to suffer further hardships. Looking at the situation Humayun gave up all hopes and considered renouncing everything and proceed towards Mecca for the holy pilgrimage but Hameedah (his wife) consoled him and cheered him. A few of his Sardars also encouraged him and helped him change his mind. He then accepted the invitation from Maldev – the King of Jodhpur and proceeded in that direction on 7th May 1542. Despite having to face a lot of adversity on the way, they finally managed to reach Jodhpur facing hardships as well as the enemy. But unfortunately for Humayun, Maldev too had sinister plans in his mind. Sher Shah was growing stronger by the day and hence Maldev had planned to arrest Humayun and hand him over to Sher Shah and thus gain his confidence. Mula Surkh who had earlier worked in Humayun’s durbar and now was Maldev’s subordinate, secretly informed Humayun about his master’s evil plan. Humayun decided to leave Jodhpur without wasting much time. All roads were closed for Humayun and he was almost trapped. The only alternative for him was to cross the desert of Sindh and take refuge in Laar (South of Sindh) so the royal army marched in that direction. Despite the odds Humayun did not lose hope and after a few days of toil reached Umarkot. While he was still twenty miles away, he sent one of his Ameers ahead to the Rana (Ruler) to inform him about the arrival of the Mughal emperor. Umarkot’s ruler Rana Prasad was delighted to hear about the arrival of the Mughal Emperor and himself came out of the fort to greet and welcome the Mughals. After staying in Umarkot for quite some time Humayun became anxious to move ahead. Rana Prasad also got ready with an army of three thousand to help and accompany Humayun. He too wanted to settle old scores with Shah Haseen who was responsible for Rand Prasad’s father’s death. Humayun moved to the city of ‘Jun’ situated two miles to the east of present day Hyderabad. The land was lush green and well cultivated in the city and hence Humayun camped therefore some time. In the meanwhile, Humayun received the news of his wife Hameedah Banu delivering a baby boy. As soon as Shah Haseen was aware of Humayun camping at the city of Jun in Sindh, he proceeded in that direction to prevent him from crossing the river to attack Thatta. A fierce battle was fought between the Mughals and the Sindhis (Argoons) in which both sides suffered heavy casualties. After many days of fierce fighting, the two sides were anxious for negotiations. Shah Haseen agreed to hand over three hundred horses and three hundred camels in addition to some cash by way of compensation and safe passage for Humayun and his men. Humayun then moved to Kandahar via Sehwan to once again try his luck and accomplish his dream of recovering his lost Empire and the Throne. The birth of Akbar Aizam proved very much lucky for the Mughals and his wish was finally fulfilled.